In this article, we made a list of the best smart tech bedroom ideas that every smartphone owner must have. Check it out! If you can’t sleep unless the air in a bedroom is perfect, Dyson Pure Hot+Cool Link purifier is a perfect smart bedroom solution for you. This device combines heating, cooling and purifying features in one stylish design. 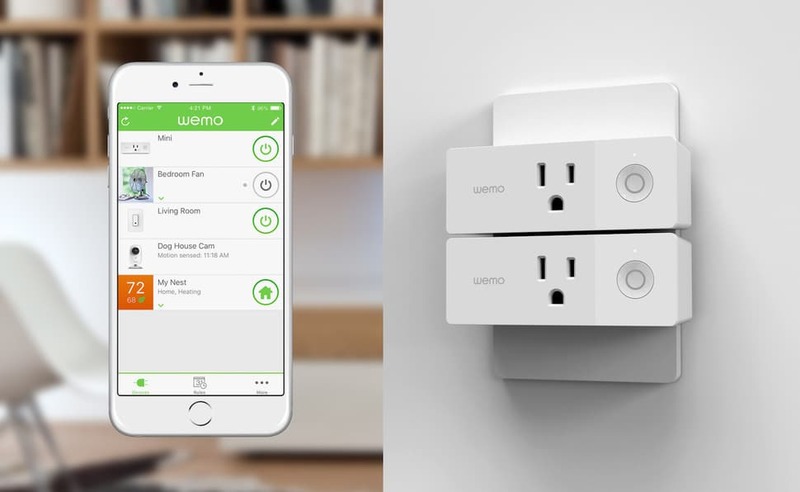 For those who worry in the bed if they have switched off the iron, Wemo Switch Smart Plug is a great smart tech bedroom idea. These smart switches are controlled using a smartphone application so that you can switch off any device without getting out of your bed. Undoubtedly the best smart light solution today, Philips Hue Lights is a must-do smart tech bedroom idea. Especially for those who like to create a spontaneous romantic atmosphere around the bed or wake up with an artificially created morning light. One of the must-haves smart tech bedroom gadgets is a sleeping monitor. With a Sense Sleep Pill, you will be able to track your sleep and monitor how different factors, like bedroom light, temperature, and air quality, affect your sleep. Moreover, it has a smart alarm build in its modern design for better wake-ups. Always dreamt of controlling your blinds without standing up from the bed? Then, FlipFlic Smart Blinds Controller is a perfect smart tech bedroom idea for you. Control any of your horizontal or vertical blinds from your smartphone or put them on the timer. Powered by solar energy! There could be no smart bedroom without a smart pillow! ZEEQ Smart Pillow is one of the best solutions for a better-quality sleeps. It tracks your sleep, monitors and reacts to your snoring and even plays music. The smart mirror is probably one of our best smart tech bedroom ideas. Adjustable color temperature, beauty suggestions, motion sensors, and 10x detail mirror are a few of the dozens of handy features of this smart bedroom technology. ← What are the main differences between google home and amazon echo?